Big plans for your business?  We are a strategic SME funding company whose goal is to ensure access to flexible funding for Irish SMEs. We aim to deliver lower cost, long-term, innovative and accessible funding by offering flexible products, through our On-Lending Partners. We deliver lower cost, long-term, innovative and accessible funding to independent Irish SMEs by offering flexible products, through our On-Lending Partners. Loan amounts of between €25,000 to €1.5m per eligible enterprise (see the State Aid section below for further details). Maximum interest rate of 4%. Loan terms ranging from 1 year to 3 years. Unsecured loans up to €500,000. Optional interest-only repayments may be available at the start of the loans. The loan amount and term is dependent on the loan purpose. For SMEs involved in primary agricultural production, processing or marketing of agricultural products. SME leasing offers flexible asset finance funding solutions, including leasing and hire purchase (HP) that will allow SMEs finance assets including cars, commercial vehicles, plant and machinery. Fixed plant/equipment/vehicles are purchased by the leasing/HP Company on behalf of the customer and hired for an agreed term. The SBCI product programme is being made available through a range of bank and non-bank financial institutions. The SBCI provides the same low cost pricing of funds to all its on-lending partners.